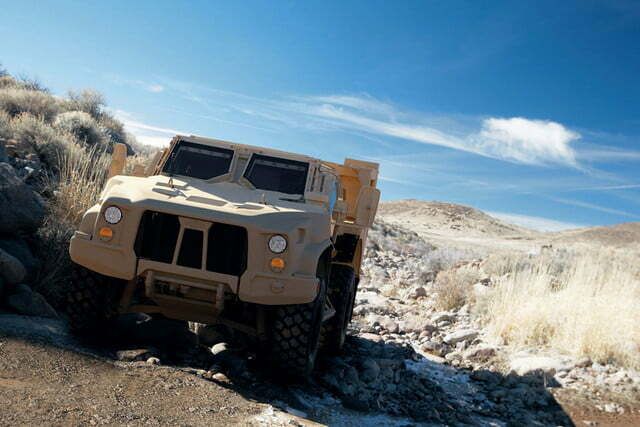 An opportunity like this comes along once every, well, 25 years or so, and Oshkosh Corp. was the one to rise to the occasion. 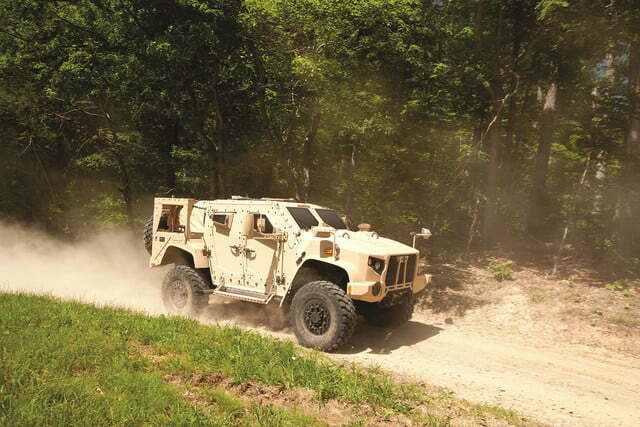 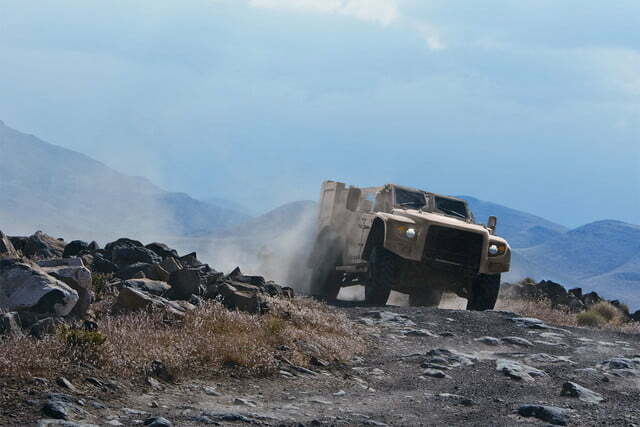 The U.S. Army’s search for a Joint Light Tactical Vehicle replacement for the rapidly-aging Humvee models led it to three key players: Lockheed Martin Corp., AM General LLC, and Oshkosh Corp. in January of this year. 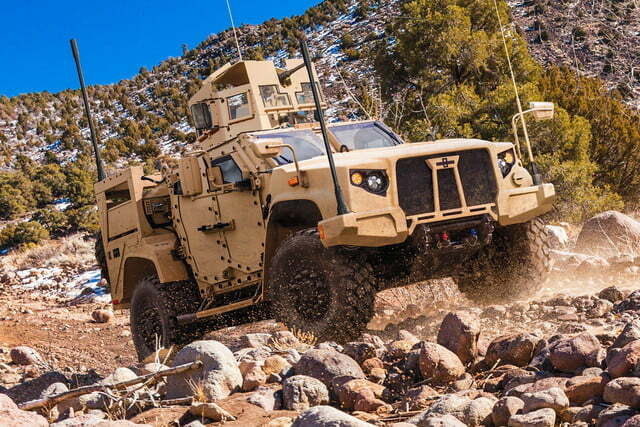 Yesterday, the military offered Oshkosh $6.75 billion to substitute its Humvees with Oshkosh JLTVs (also called L-ATVs) over the next 25 years. 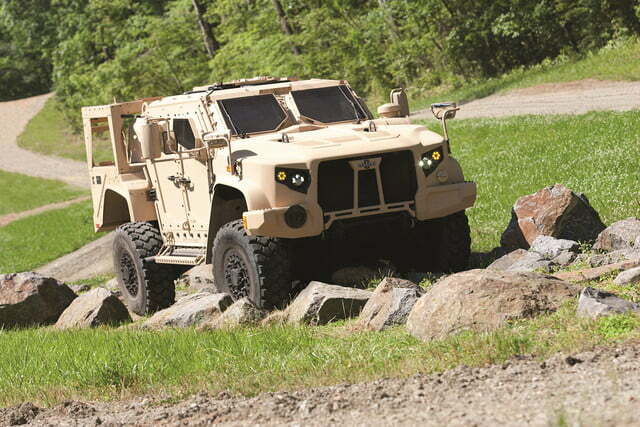 Over that time period, Oshkosh will produce about 55,000 models to replace the majority of active Humvees and larger trucks. 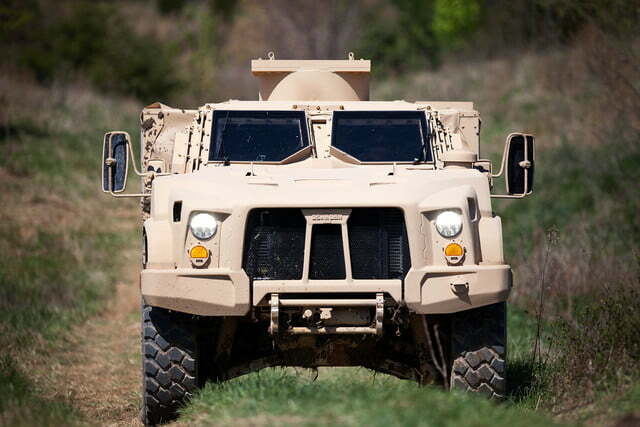 49,909 of those new vehicles will go to the Army, while 5,500 will be sent to the Marines. 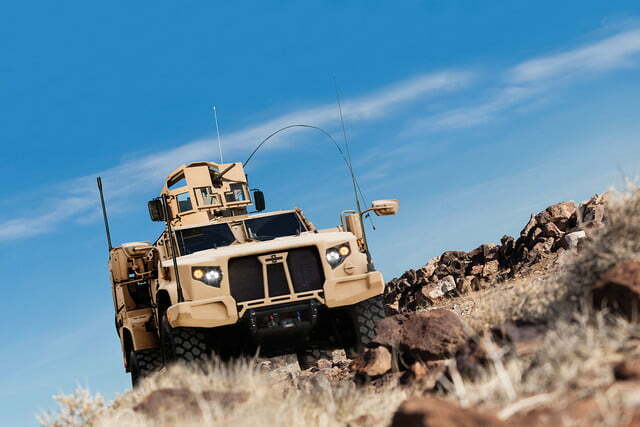 As you might expect, Oshkosh is more than pleased that it has been awarded the contract, as the Pentagon’s easing of military spending had hurt the 97-year-old defense vehicle producer’s bottom line. 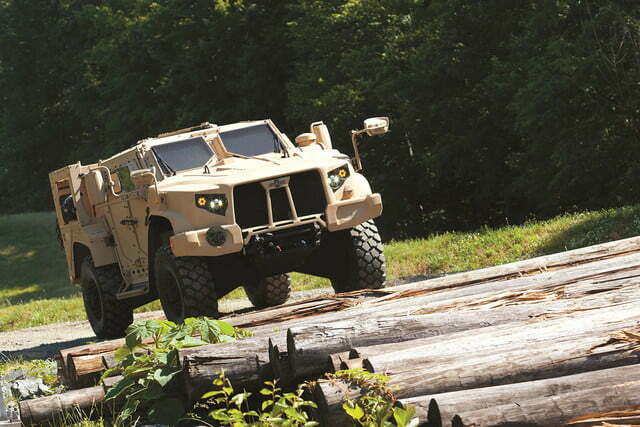 Once news broke of Oshkosh’s victory, its stock leaped 12%, nearly nullifying its losses over the last year. 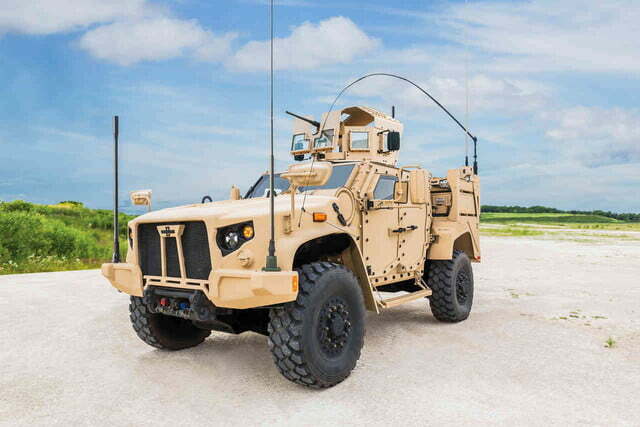 As for the vehicle itself, it’s lighter than AM General’s offering, making it easier to transport by air, and it features better protection from mines and roadside bombs — always a plus. 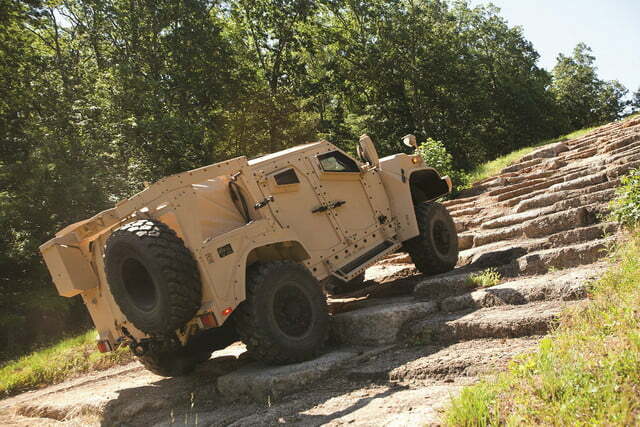 Moreover, it has a longer range and more durable design to transport troops and gear. 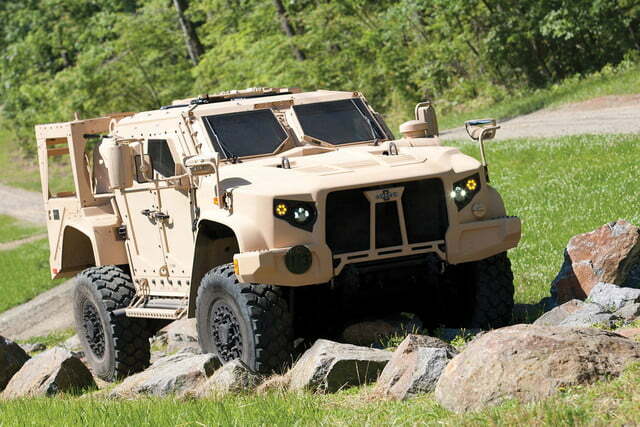 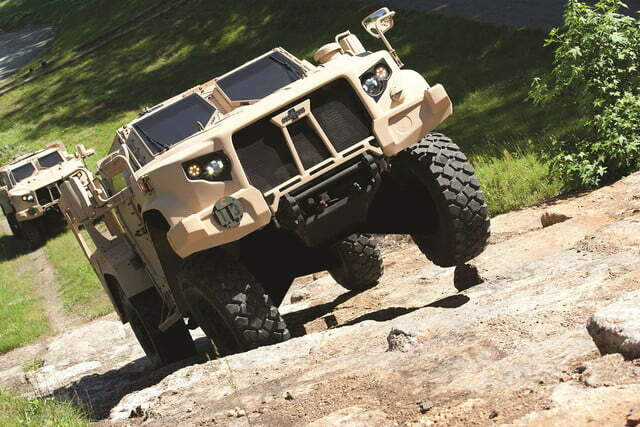 The JLTV features 20 inches of wheel travel, an adaptable suspension based on terrain, turret-operated weapons systems, remote weapons systems, a tube-launched missile system, a digitally-controlled GM 6.6-liter Duramax Diesel V8 with 397 horsepower (and an unspecified pound-feet of torque), an Allison transmission, an on-board power generator, and 360-degree armor protection. 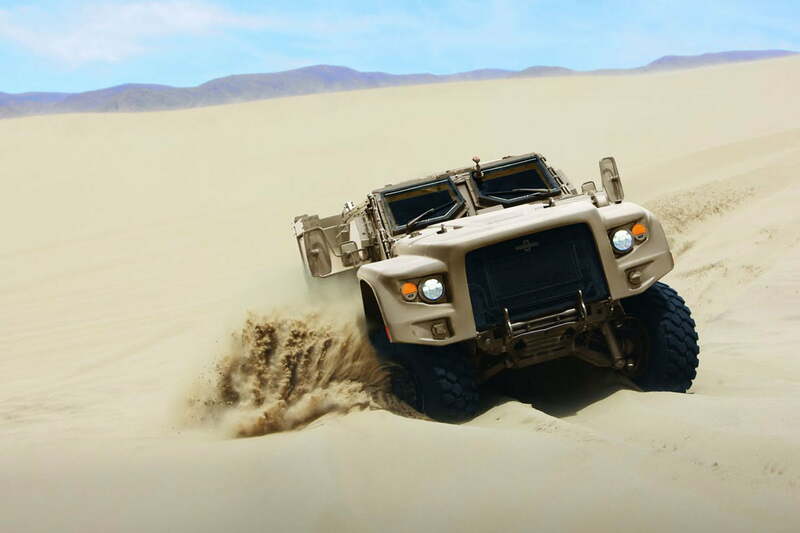 Oshkosh’s L-ATV is a force to be reckoned with, boasting greater protection, range, and versatility than the Humvee. 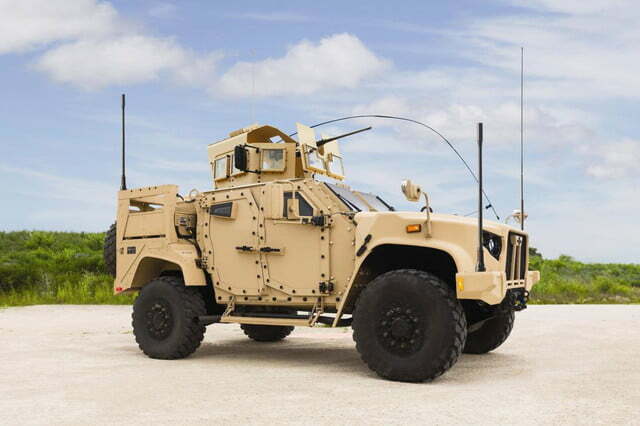 It’s been found to be the right instrument to keep U.S. troops safe.